Increasing the visibility of a website is exactly the kind of objective that web analytics aims to fulfill. After tons of research and exploration of the insights gained by tracking the activities of visitors, if the results of the analysis are anything but satisfactory, major steps are taken by analysts to up the performance of a website. To do so, the first step is to increase its visibility. One question that every webmaster and business owner asks is, ‘whether customers even know their website exists’. If the answer to this question is full of doubts, all efforts of web analytics are then targeted towards this goal. In essence, increasing the visibility of an online platform is at the heart of analytics because all the research and hard work aims to discover why visitors left the website early, why they did not complete an action or why they leave even before one page is downloaded. Therefore, making a website more visible is the most obvious remedy to a very low conversion rate and minimum internet traffic. In the previous topics, the basics of web analytics have been discussed. These topics have revolved around concepts you need to know to understand the field of web analytics and to grasp its importance. In this discussion of increasing the visibility of a website, we have reached the implementation stage when a webmaster is in control of the data and has all the metrics he needs to begin the assessment process. It helps to remember that increasing visibility is a goal and that this goal cannot be achieved before ample amounts of evidence, data and statistics are gathered to support it. Therefore, deciding to implement strategies to take your website ‘out there’ based on a hunch and guesswork is not the most sensible solution. Instead, the roadmap for visibility should be carved once metrics and analytical tools conclude that a website needs more exposure and promotion. Why would you want to increase the visibility of your website? Is it so ‘invisible’ that customers cannot find it? The need to increase visibility emerges from one basic principle of marketing and sales, i.e. attracting new customers. A website or a business usually finds it easy to attract the same customers as long as it provides excellent customer service and its products are reliable and unique. No doubt, repeat purchases are essential for a business to record revenues on a regular basis. Moreover, it is these loyal customers who can be trusted to spread positive word of mouth regarding your business and keep coming back for your services. However, every business reaches a stage in its life when it wants a fresh approach because the existing customers, though very valuable, can only buy or subscribe just this much. To increase revenue beyond the present limits, attracting new customers, new markets and new segments of a demography is essential. Nonetheless, at the same time, a webmaster also has to ensure that the new customers, in other words, the increase in traffic directed to the website, is part of the most relevant target market. Getting visitors on your website, who are not part of your segment usually results in impressive traffic metrics, but staggeringly low conversion rates. Therefore, relevancy is a big criterion to make sure a business attracts only those who can make a difference to its bottom line. This is where increasing visibility comes in. Web analytics helps a business looking for increased visibility by pointing out the areas that need work, those that are already performing well and those that should probably be cut off altogether. It is with this information that a business puts together its most experienced minds to devise strategies and actions that can tend to the problem areas and fix them. The possibilities for increasing visibility through web analytics are many. There is a lot, literally a lot, that an online business can do to achieve this goal. All it has to make sure of is that web analytic results and strategic business ideas are paired in the most efficient and effective manner. Using web analytics, the following three ways can increase the visibility of a website’s manifolds. It is hard to deny that the majority of website traffic comes via search engines. The fame and popularity of the search engine giant, Google, is undisputed. So is the fact that even if users know the direct URL they want to visit, they usually punch it in the Google search bar, for convenience sake. Therefore, identifying the search engines that send you the most visitors, who then convert to customers, is the starting point of increasing the visibility of the website. Smart business owners use web analytics to segment the visitors they receive by the search engine they are coming from. The engine that sends the highest percentage of traffic that ends up performing an action, is the one to prioritize. Since your marketing budget for search engine promotion is limited, marketing on every engine is a waste of resources. This is why, identifying the top one of two search engines is an ideal strategy. In this regard, search engine rankings play a crucial role. Research into the browsing pattern of internet traffic reveals that most people digging for something on the internet do not look past the first few pages of a search engine. Hence, if you want your website to be visible to the audience you are targeting, increasing search engine rankings is necessary. The first step to increase search engine ranking is by playing off your strengths. Even if you provide an array of services to the market, highlight the one that the market knows you for. This way, when visitors conduct a query for that particular service on Google, your website has a higher chance of showing up in the top few results. Within the realm of search engine rankings is content optimization. To appear on the first few pages of a search engine, you have to optimize the content of your website to make it interesting, and beyond that, relevant to the search criteria used by visitors. How do you know what visitors are looking for? The answer is by exploring keyword searches. Most of search engine and content optimization is about using the right keywords. Keywords and phrases, that are most used by visitors and those searching for specific products online, should be made part of the content included in your website. 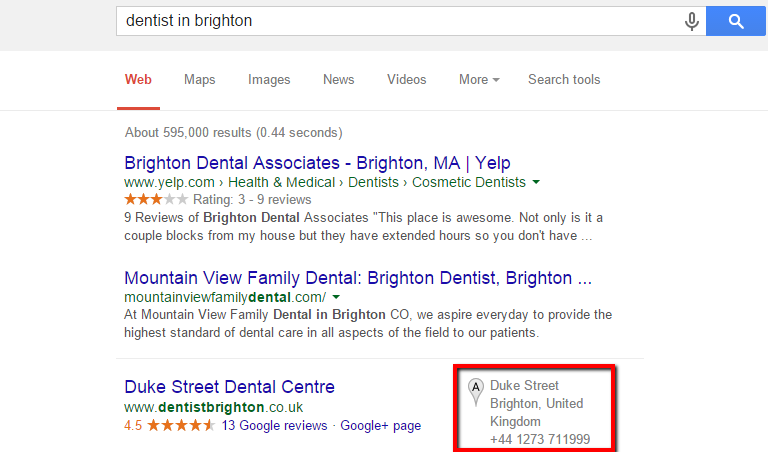 This way, when a user looks up this keyword on Google, your website pops up. Benchmark search engine ranking – What is your present ranking? Where do you want to get? Identify top converting keywords – Not only does web analytics identify the keywords that are most used for your website, it also helps track conversions that took place because of particular keywords used. It is essential to know which keywords work for you because it enables you to leverage on them and increase visibility by incorporating these key phrases in web content. Finding new keywords – To attract visitors who are presently not using these top keywords, experts suggest that businesses go beyond the most used keywords and look for new ones. According to this approach, a business puts together some of its less-frequently-used keywords in a bunch/combination to target less competitive areas of a market with low-traffic content. Once you have identified the search engine and the keywords that work best for you, the next step is to revisit your online advertisement strategy. The area of online marketing and promotion is vast. There is a lot that a business can do to up its promotional campaigns on the right medium and with the right keywords. These are the best advertisements to use in high traffic areas because of the positive impact on conversion rates. These are the most cost effective ads. They can be fully customized to target any market segment you want. Promotion on social media is one of the most effective ways to increase the visibility of your website. If your website has a social media tab to attract visitors to related pages, this type of promotional strategy works best. Just like referrer websites direct traffic to your website, paid or unpaid blogs can also urge visitors to discover your products and services. Since blogs are usually written by third parties, they are perceived as a reliable source of information by customers. Even though designing and launching an affiliate program can take time and effort, it can be a great way to spread your reach beyond the demography you have always targeted. Affiliate programs build a network of marketers who can advertise your website at minimal costs. The three approaches combined make up search engine marketing, with improving ranking and content optimization being part of SEO and organic reach, and online advertising using pay-per-click ads, being the part of paid reach. Besides using Google Analytics, a lot of website owners use Google Search Console in order to combine the functions and benefits of these tools with increasing website’s visibility. Increasing website visibility with Google’s tools is a top concern for all webmasters who use these tools as their primary web analytics kit. Both of them offer the advantage of having access the informationvisibility of your website. Coupled with search engine data, a number of metrics you can get from these, and similar tools, can be used to determine how visible your website is on the internet. Since visibility and reach are two of the most important goals of effective web analytics, these metrics are some of the most used measurement criteria to evaluate a company’s online efforts. 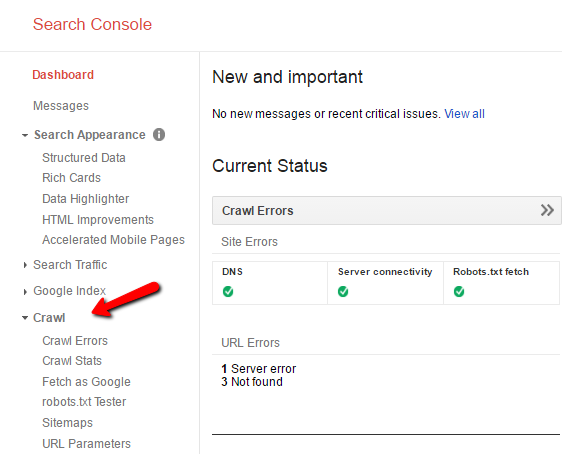 Crawlability is a measure of how easily a search engine can find and crawl your website. Appearing high in search engine results is a definite boost to the visibility of a website, because most of those users, who search for websites using keywords, usually do not look beyond the first few pages of Google search. Therefore, if you want your website to be highly visible to the target market, you have to make sure it appears on a rank that is visible and considered acceptable by the market. Appearing on the first few positions may be hard. However, if you use the right keywords and optimize your website, a high rank is not impossible to achieve. Many people who do not want to spend hours on the internet searching for specific websites and products, usually use sources like the Yellow Pages. The name, address and phone citations are crucial because actual people use these to locate online businesses. NAP directories are created even if you have not opted to put your credentials voluntarily. However, if your NAP citations are unclaimed, every time a user searches for your website, the credentials will not be linked to the URL. Hence, it is important that you search the NAP citations that exist for your business, verify the details and then claim them to bridge the gap and increase search visibility of the website. Website pages that are included in the Google search index are the ones that are visible to users. URLs index is a metric that tells you how many of your website pages are indexed and thus, how visible each is to the search engine audience. URLs index also helps webmasters determine whether there is duplication on the website. For instance, if more pages are indexed than you have on your website; this means that there is a duplication of content on your platform. Deep links increase the visibility of specific pages of a website. Deep links are links to other websites that have a link to a page of your website. Search engines, like Google, determine how relevant this referring website is and how well visitors will be attracted to the deep link placed. Deep links are very useful because they increase the chances that a website and its specific content pages will be viewed by general internet traffic. Since search engines evaluate relevancy, a website owner should make sure to have quality content on the inside pages so that it can be linked via Google. Branded keywords are those that have the company’s name, your name or the name of the brands you sell. There are millions of users on Google, who use branded keywords because they already know that a particular brand exists. 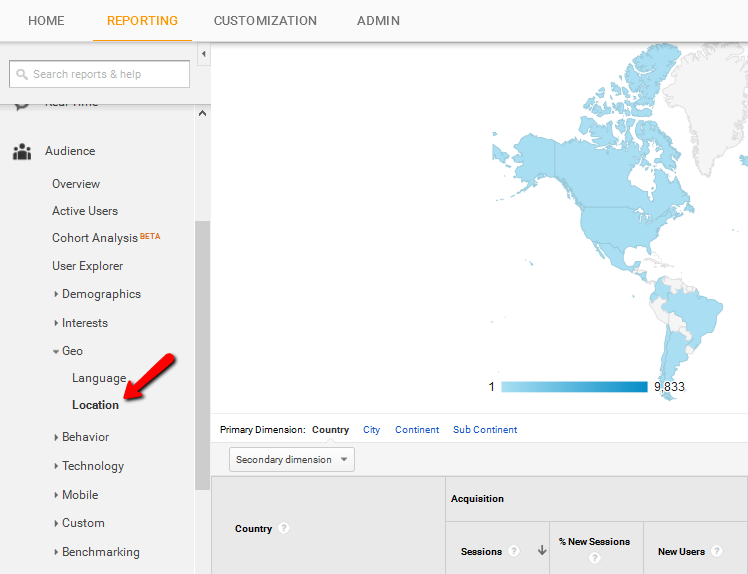 The use of these keywords is a good sign in Google Analytics because it shows that either these customers have purchased from you before, or your website’s visibility is high because branded keywords appear in general searches. On the other hand, non-branded keyword searches are done by people who are generally trying to solve a problem by looking for solutions on Google. They may not have heard of you, which is why it is important to point them out so that they can turn into new visitors. 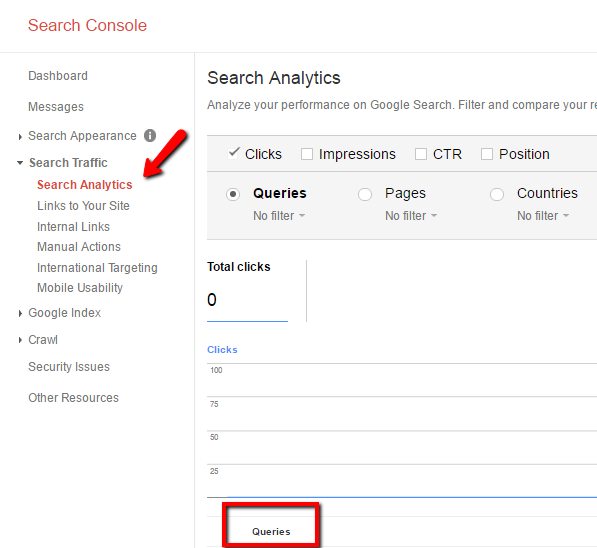 This metric from Google Analytics is called search engine result page ranking. This ranking determines a website’s position in search results. Even though this position is important, experts now assert that together with SERP, focus should also be on keyword ranking – a strategy that is part of Webmaster Tools in Google Analytics. While SERP ranking is influenced by factors like geography and social media usage, keyword ranking is a more valuable metric that reflects on sales conversions. Being listed high on Google is no good if visitors are not clicking on your site. Click through rates are a measure of how popular and visible your advertisement or URL is on a search engine because it directly effects the frequency with which users visit your website. Specific content that has a high click through rate should be the benchmark. Metrics that determine geographic reach tell you the location of your customers. Depending on the results of this metric, you can choose to increase visibility and reach in a certain location and reduce spending in another one. Moreover, while assessing geographic reach, it is important to keep business goals in mind because if you want to limit yourself to a certain location. This metric will help you decide. Keyword metrics are available with every web analytics tool because they help assess how well keywords are used in a piece of content. Keyword metrics identify phrases that are relevant to a business and are used by search engine visitors the most. When a webmaster incorporates the most used keywords and phrases in web content, he stands a high chance of increasing the visibility of the website because it will now appear whenever that particular phrase is looked up. 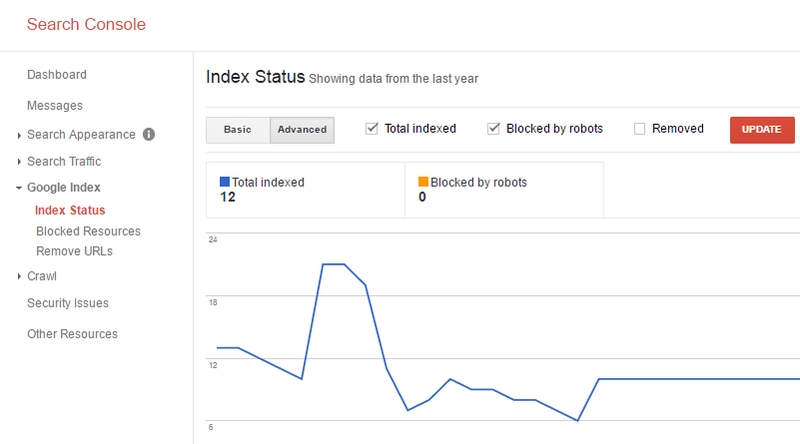 Content keywords feature was removed from Google Search Console in November 2016, and it was replaced with “Queries” available as a part of Search Analytics. 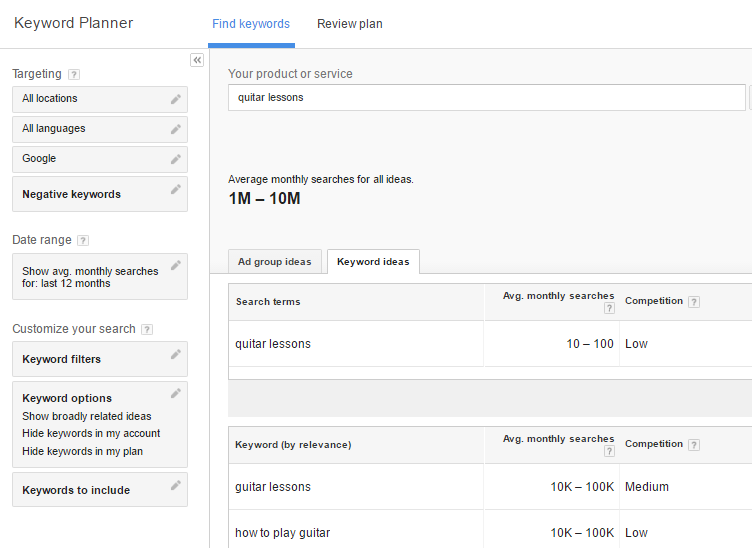 Another tool that can help you with exploring keywords and the potential search volume for specific keywords is Google Keyword Planner. The above metrics are only a few that play a huge role in helping webmasters increase visibility of websites using Google tools. Even though other web analytic tools also have a collection of metrics, none is as comprehensive as the features using several Google tools combined, because they provide a comprehensive collection of data to give users the best visibility and reach statistics in the industry.